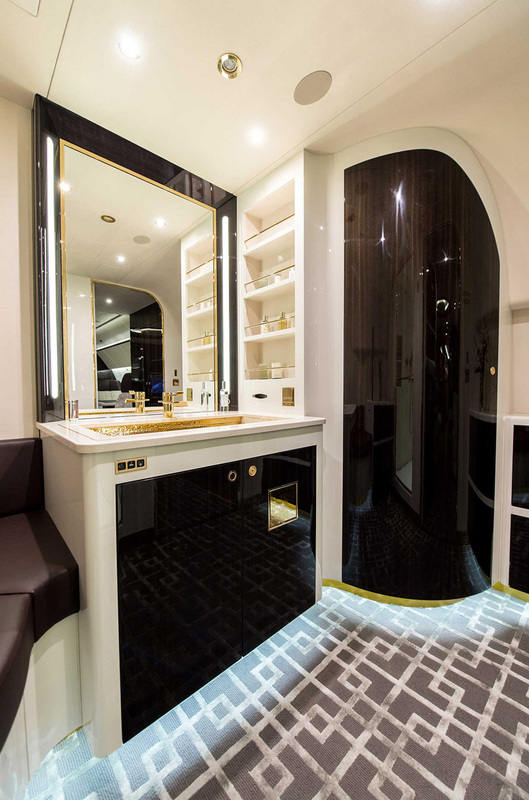 The Airbus Corporate Jet Centre, in Toulouse, France, has completed an art deco-inspired custom cabin in an ACJ319 jet for a company in Asia. 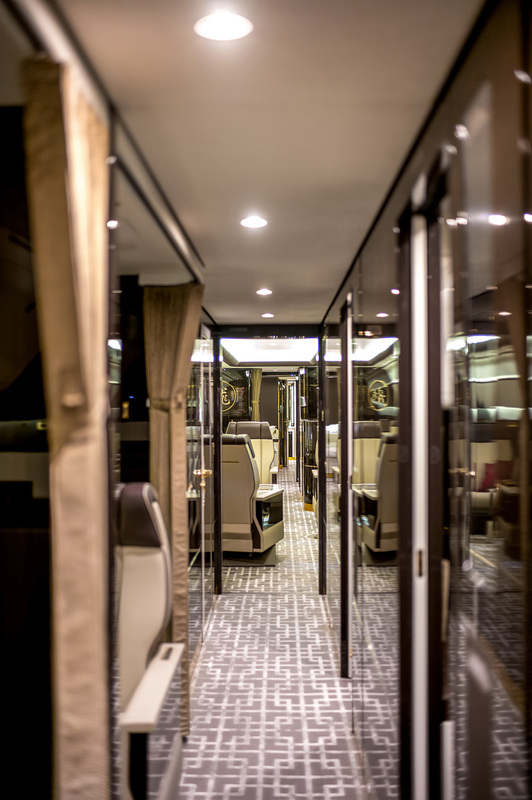 Combining comfort, function, and innovative design, the interior (for up to 19 passengers) features five individual mini-suites – each with its own storage spaces – that evoke the privacy and coziness of a vintage-train cabin. A wide main lounge adjoins a separate parlor where two passengers can share a widescreen movie. 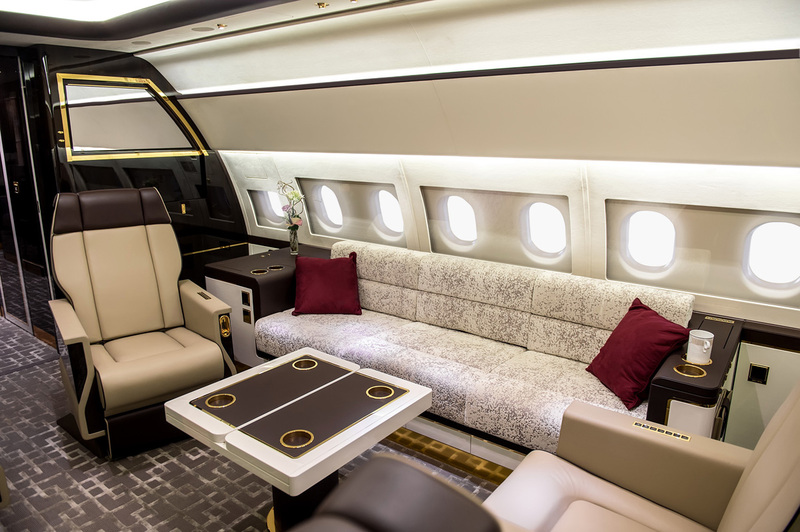 The master bedroom offers an en suite bathroom with a square shower, a private office space, and a two-place sofa that can convert to a conversation nook, with two VIP seats separated by a low table. A brown-and-cream palette creates a sense of space and simplicity in the cabin, and gold-colored details enhance the classic retro aura. 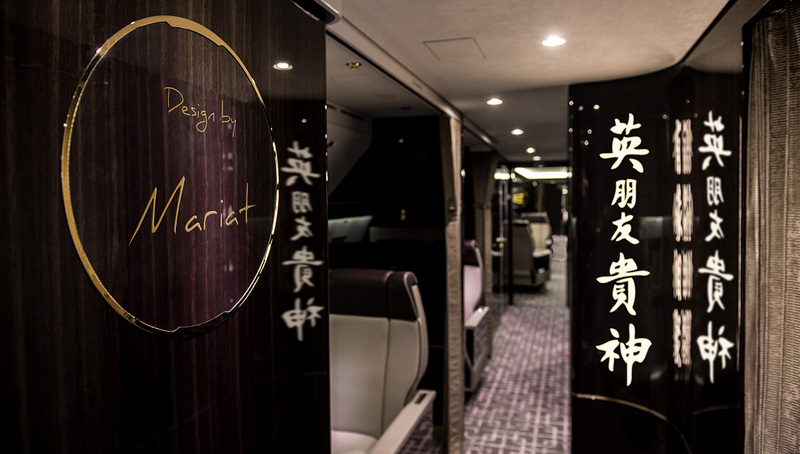 The dining area seats up to six in a snug booth-like setting. 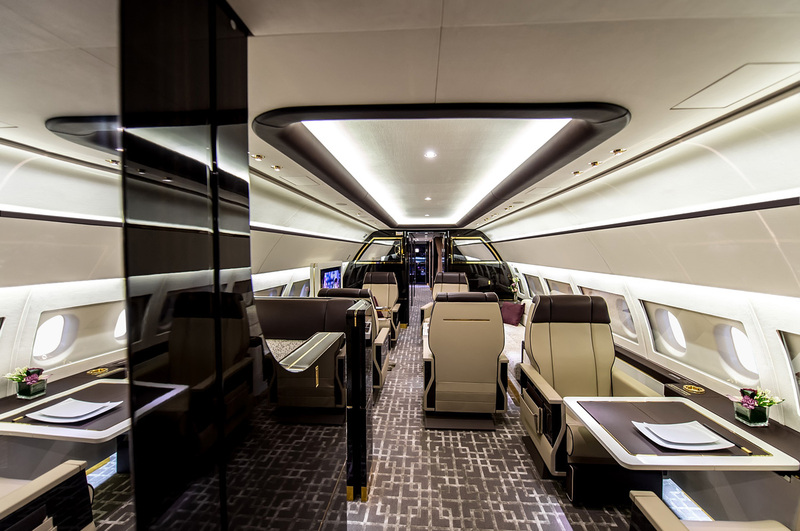 The retro styling is paired with state-of-the-art amenities and cabin controls. 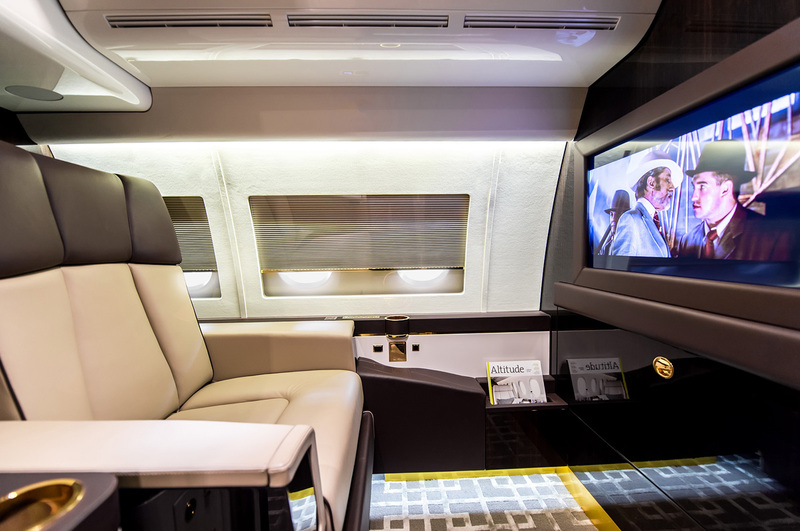 All 15 of the seats can recline to a fully flat position and are adjustable via Wi-Fi from a digital tablet. Two cocktail bars are hidden behind mirrors, emerging when needed with the push of a button. 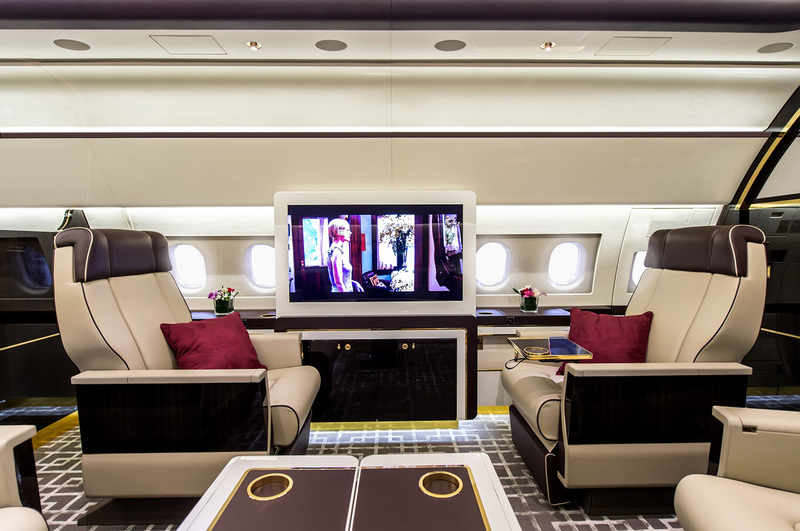 The cabin design was the most complex challenge ever completed by Airbus, the company said. 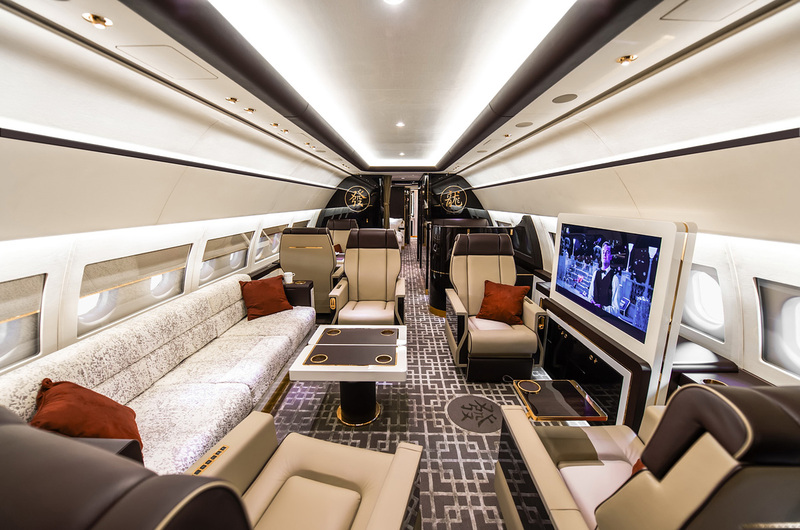 The ACJ319 cabin is 78 feet long by 12 feet wide, and the jet can travel up to 6,900 miles nonstop, at speeds up to about 540 mph.